One of the 50 challenges of the National Trust for the children before they reach 12 is to build a den. Well I’m not 12 anymore but I’ve never build a den! 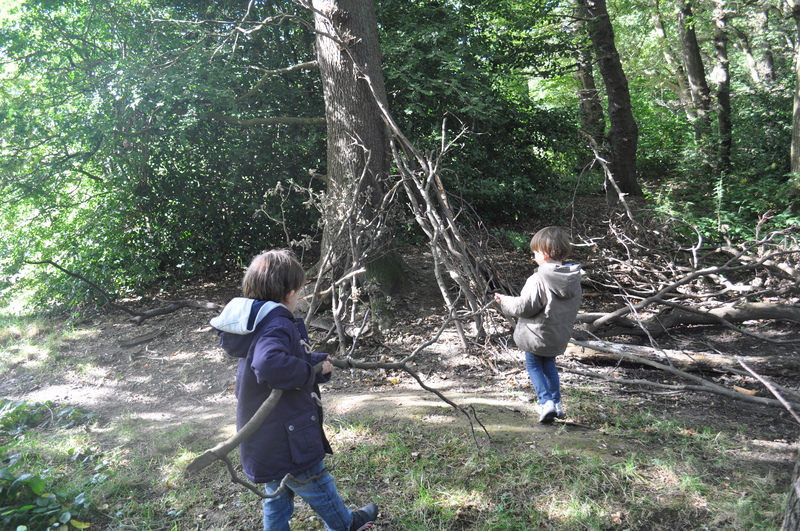 A few week-ends ago, we took the kids to Highgate woods, North London. After a little walk and a fantastic hide and seek, we found a great tree and lots of branches on the ground so I started building up a den and the kids started helping me. They enjoyed it so much (and I did as well), carrying branches much bigger than them, working as a team to bring some huge branches and being very sensible about the handling of these branches around each others. Even, little T, now 20 months, went to get some branches! It was actually really good, no fight and no crying! The den was not amazing (they thought it was though) but it was our first one, and we will probably do many more. And of course we have to go back to Highgate woods to check if our den is still there! We would love to see your pictures, so if you do build dens, please send some photos. My boys love cycling but so far we have not been further than our local park, Hampstead Heath, where there are very few cycling routes. This meant that the kids were on their bicycles and we, the parents, were walking. Not that fun for anyone. Last week-end, we put the bicycles in the car and drove for one hour to Hatfield forest, near Bishop’s Stortford in Hertfordshire (part of the National Trust). Me & the Girls joined us with her 2 girls and Blue Eyes. They rented some bicycles there as well as a baby seat (reservation recommended). We cycled on and off the path for over 1 hour, until the kids had had enough and it was really good. They really enjoyed it and were ready for a hearty lunch at the outdoor cafe. Very good food indeed. You can also go for walks, which we will probably do shortly. Great outdoor outing and a good opportunity to start or continue the National trust 50 outdoor challenges. A good alternative to the Eiffel Tower is the Arc de Triomphe. 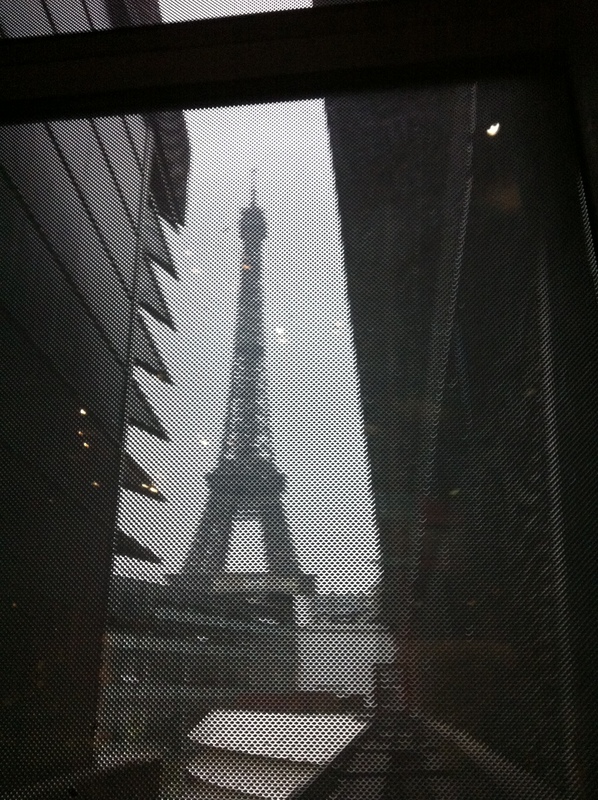 Did you know that you could climb on the top and enjoy a great view over Paris. If you are in the neighborhood you may decide to go north west and go to the Jardin d’acclimation (A huge playground with various attractions – go for the glass maze and a small zoo). I would recommend that you catch the “petit train” (little train) at Porte Maillot. Le Jardin is 150 years old. You pay 3 euros and you can enjoy various free playgrounds, a city farm and a small zoo, a “paddling” pool, a muppet theater. There are additional games you can do for an extra cost around 3 euros each such as a glass maze, trampolines, etc. Another must go with children in Paris is Cité des Enfants located within Cité des Sciences in the Parc of La Villette (Northeast of Paris). Booking is mandatory during summer break and school holiday season if you want to avoid long queues and choose the time slot that suits you best. Cité des Enfants is a place where I would go with Blondie and Bonny very regularly. Children can experience with their hands, brain and body or listen to story telling. They just love it. Blondie still remembers the story about the Indian boy and the wolf 1 1/2 year later. Although she was the only one to find it very scary and we had to take her off the room in order to let the story teller do her job! 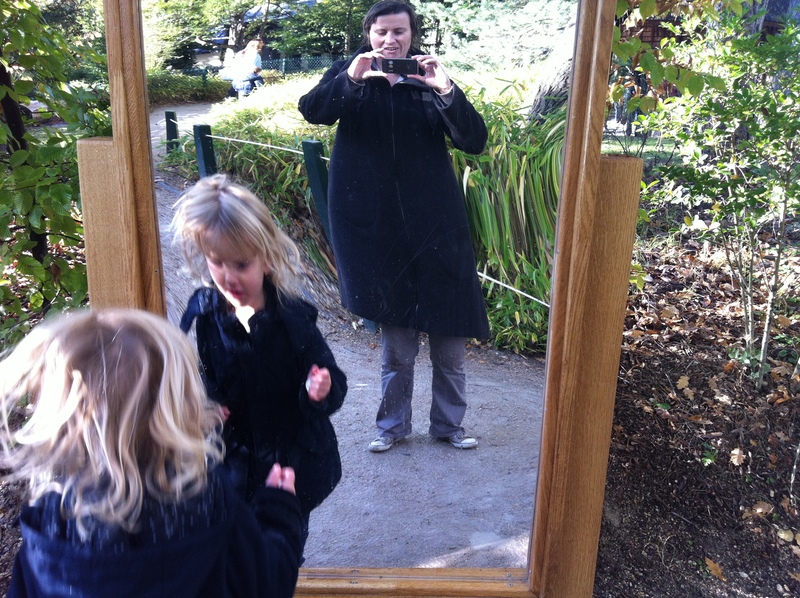 Parc de La Vilette is also very good place for the entire family with so many different things to do that I cannot describe them all. If it is a hot day/night you definitely must head to Parc de La Villette where you live enjoy loads of exhibitions, concerts, open air movies, some of these events are even free. You can picnic in the parc or if you do not like seating on the grass, you can go to some cafes/restaurant such as Hippoppotamus (I do not like to advertise for such chain restaurants but they are children friendly which is not always easy to find in Paris). If you want to visit Paris and live like a Parisian and avoid hords of tourists that’s the place you should go! Finally if you visit Paris between July 20th and August 19th, you might have heard about Paris Plages. This is an annual event during which Seine riverside expressways are closed to traffic between Paris Town Hall and Pont Neuf and transformed into beaches with sand, beach cafes, deckchairs, concerts and a giant screen in front of Paris town Hall where you can watch the London Olympic Games! Another great opportunity to live like Parisians during summer time. Hope you enjoy my city as much as I do did. Sigh! wellies and pretend you are a farmer? If you answer Yes to one or all of these questions, then head up to a ‘Pick Your Own’ farm this week-end. also blackberries, green beans, courgettes, tomatoes, squash and corn. We are going next week-end to get some strawberries and maybe a few other bits as well. calendar on their website so you know what you will find when you get there. Last week-end, we decided to go for a little adventure and try something new: Riverhill Himalayan Gardens in Kent. These gardens are hundreds of years old and are beautiful. The owners – in the same family for four generations – have opened their garden to the public last year to try to make some money and restore the house. They have done in great job in getting the kids imagination and creativity going. We started with a tour of their grand gardens, to the top of the hill for the view and down. The kids did not stop walking to try and find the keys hidden in the gardens. A little booklet, sold at the entrance – not given unfortunately, £2.50 – with a map of the keys as well as a little explanation of the trees or plants next to it. We discovered some wonderful and very old trees which were imported from some exotic places in the 18th century, some from the Himalayas. We have picked up some leafs for our herbarium – a post soon on this. On the way, we found a cute little playground, all in wood, with a tree house and a den. 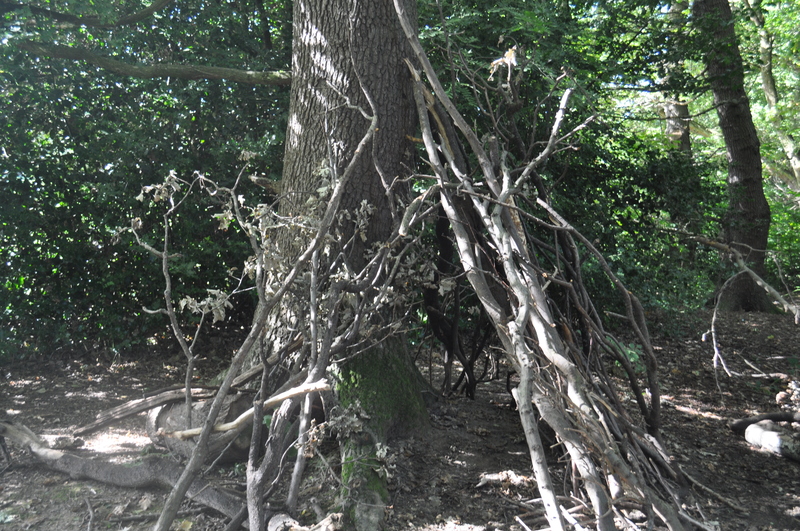 A bit further, a woodland of chestnut, the perfect tree to build a den, so we had to try. Then we came to meadow with a fantastic view , a picnic table and a maze. All children love mazes I think, they ran ahead of us and were very amused when getting to a dead end. The maze will probably be a lot nicer in a few years time when the trees have grown but the children did not care. To give the visitors an Himalayan adventure, the centre of the maze has a yeti waiting. And in the afternoon, a second yeti comes to life and walks around the den building area, in the middle of the chestnuts. The kids had mixed feeling when they saw the yeti, scared but curious. Every week-end, they organise a workshop. Last week-end it was paper plane workshop. 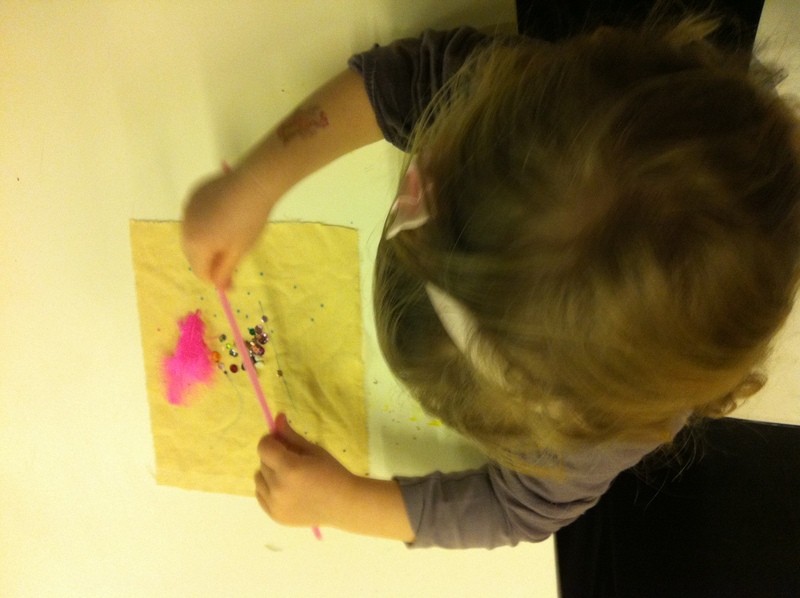 The children made paper plane helped by a plane fanatic and had a fun time seeing them fly – and still do! For lunch, you can bring your picnic or you can have lunch at their little cafe, where they serve homemade and organic food. The children had the Yeti’s bag with a Yeti’s feet (biscuit with white chocolate chips). All in all, it was a great adventure, I think the children will ask to go again, and I will be happy to. The Riverhill Himalayan Gardens is on the A21, in Kent, close to Sevenoaks and Tonbridge. Entrance is £6.5 for adults and £$.50 for children over 4. Open everyday but Monday and Tuesday until beginning of September. I’ve read lots of articles over the last couple of months about the facts that kids used to spend a lot more time outside than they do now. Although you have to adapt to this new world of computers and playstation, I do agree that children should spend as much time running outside as possible rather than sit in front of a screen. Outdoor is also about letting your children get dirty and muddy, and experience, discover, and maybe get over a little scare. 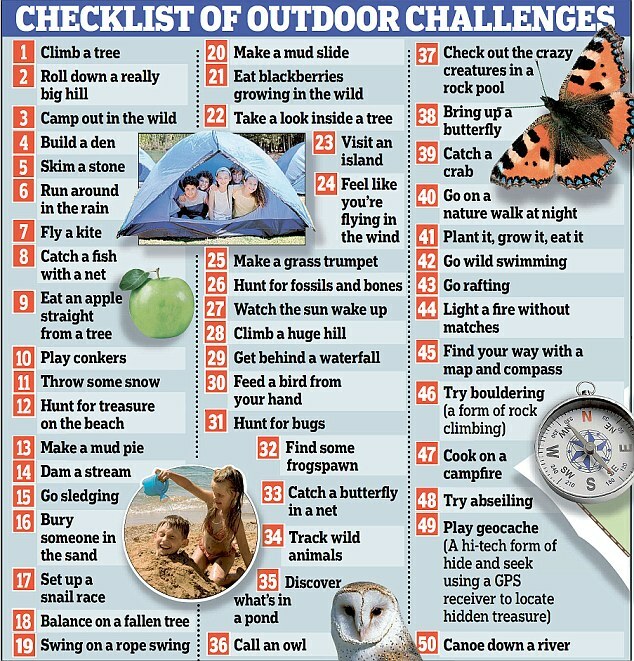 The National Trust came up with a list of 50 outdoor challenges that children should experience. I have just signed up to their 50things newsletter to get ideas of places to go and things to do. Give it a go and let us how you are doing. Any ideas of places to go to are always welcome, or other challenges. Keep in touch with us and we’ll give some ideas every week on how to complete the National Trust challenge and more. Apparently, my sister loved My Little Pony as a child so when she spotted old MLP at the toy store, the memories came flooding back and she couldn’t resist. It was love at first sight for Little Miss A and so an obsession was born. 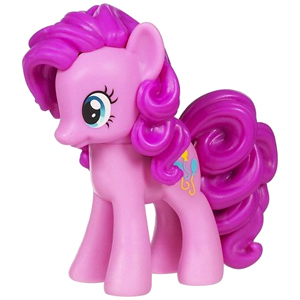 And not just MLP figurines. Little Miss A wanted to see a pony close enough to pet and weekend visits to the local City Farm only fuelled the fire. Next, she wanted horseback riding lessons for her birthday. Seriously? I was thinking more along the lines of the piano lessons. But then again, why not? A quick Google search led us to a local equestrian centre that offers Shetland pony rides for 3 year olds; to give them a taster before they can enrol in lessons at 4 years. The Captain and I decided to surprise her. We figured if she wasn’t ready, at least we can walk around the stables and have a snack at the cafe. Well, wild horses couldn’t keep Little Miss A away from all the horses (once she got over the smell). 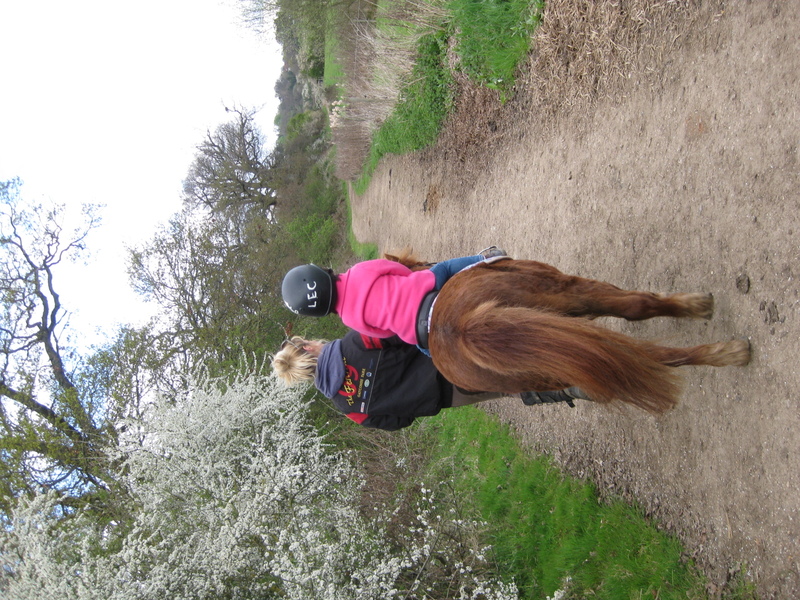 She couldn’t wait to get fitted for her helmet and boots and then off she went with the trainer for a walk on Rusty. She learned to start, stop and turn Rusty left and right; all the colours of horses (a white horse is not called white but grey) and how to stroke a horse. Little Miss A loved every minute of it and seemed so confident and natural as she rode Rusty and chatted with the trainer. Bless. The happiness I felt watching her enjoy an activity that she chose herself had me walking on cloud nine for days. It also made me think twice about imposing my dreams on her. We will definitely be going back. Far from being trapped indoors during this stretch of constant rain, The Captain and I have been taking advantage of the free admissions to museums in and around London. With this in mind, we set off to National Gallery in search of horse painting to satisfy Little Miss A’s obsessions with horses. 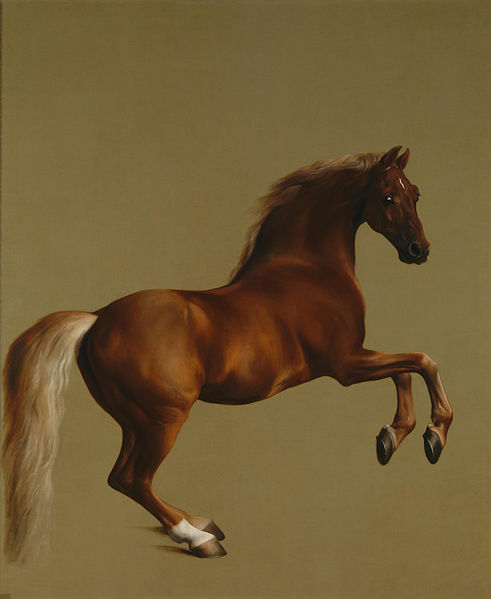 This huge oil-on-canvas painting of Whistlejacket by British artist George Stubbs is a favourite (thankfully, there is a sofa just off to the side) and absolutely stunning. It was while we were visiting Whistlejacket that I enquired about children’s activities (the National Gallery has a huge collection but its starts to slim down when your target audience of one will only look at horse paintings). Magic Carpet Storytelling is a firm favourite for the under 5 crowd. Literally, a carpet is rolled out in front of a painting (the location changes each week) and the children are told stories inspired by the relevant painting. 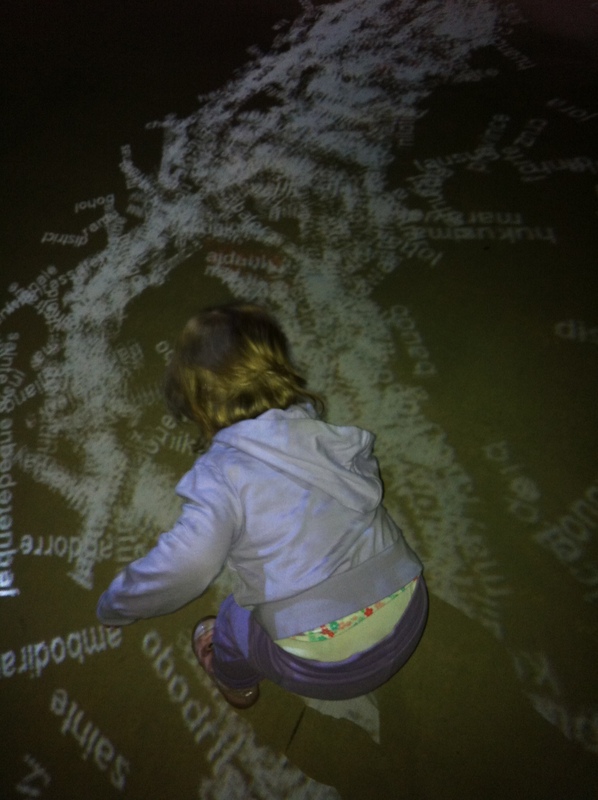 It is fun and interactive; a great way to get your little one to enjoy art and learn museum etiquette. Admission is free but arrive early as spaces are allocated on a first come first serve basis. Sundays from 10:30 to 11:00 am; and then repeated at 11:30 am to 12:00 pm. A couple of weeks ago, Mellow came back from school with Flat Stanley. Flat Stanley is a little boy who got flattened by a bulletin board, and who realised that he could then easily travel around the world in an envelope. 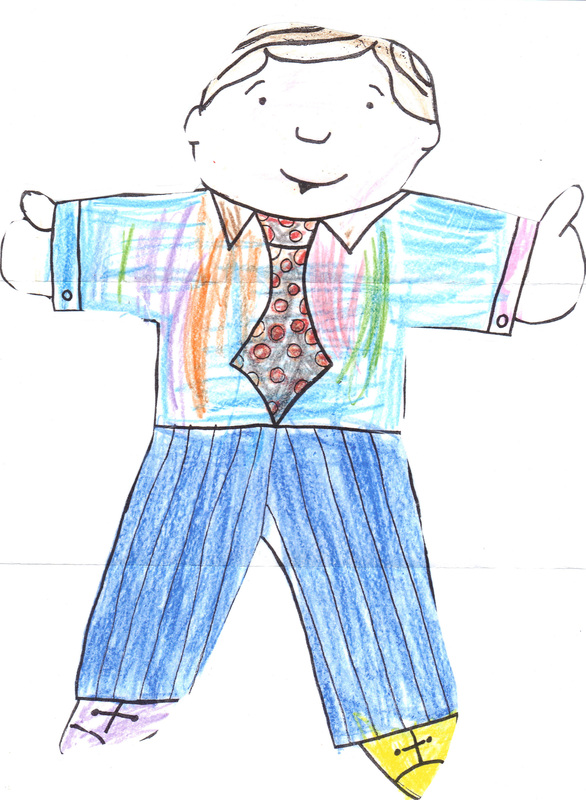 Each child from his class cut a Flat Stanley (previously drawn by the teachers) and colored it. They then laminated their drawings. Mellow took his Flat Stanley back home with a letter ready to be sent out to friends and relatives. So we sent it out to Istanbul, where Mellow’s best friend moved to a few months ago. Mellow’s friend (or his mum) sent us Flat Stanley back a couple of weeks later with a letter explaining what Flat Stanley did during his week-end in Istanbul with pictures. I though it was a great idea and I don’t know if this is a common activity in school, but if not, maybe you can do that at home. Below you will find an example of the letter and Flat Stanley to use as a model.